The midsize pickup segment is not the one that sees the most action, but from time to time an automaker offers us a new model, which means that several other new models from other automakers appear subsequently. 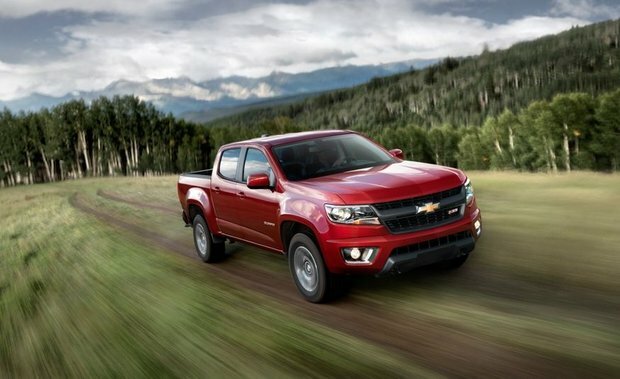 This happened when the first generation of the Chevrolet Colorado was introduced, and it happened again a few years ago with the second generation. It seems that the Chevrolet Colorado initiates a sort of revival in its segment. While this may seem a bit curious at first, the fact remains that the Colorado is often considered the leader of its segment, so it is normal for other manufacturers to pay attention when it is redesigned. For 2017, the Chevrolet Colorado returns to us practically unchanged from last year. Redesigned just three years ago, the 2017 Chevrolet Colorado is far from needing a do-over. If you want to tackle the toughest jobs on a construction site, you'll want to opt for the Chevrolet Silverado 1500 or 2500. The 2017 Chevrolet Colorado is designed for more reasonable needs, yet no less important. It offers a full range of engines that can tow from 1,588 kilograms to nearly 3,500 kilograms depending on the chosen version. It also offers different bed lengths and configurations, and different transmissions as well. Offered at just over $ 22,000 before any fees and rebates, the 2017 Chevrolet Colorado is therefore available at a lower price than many compact cars, but it offers capabilities that will make those who need to tow or carry heavy loads smile. The 2017 Chevrolet Colorado offers a choice of three engines starting with a 2.5-liter, four-cylinder engine developing 200 horsepower and 191 lb.-ft. of torque. This engine is paired with an automatic gearbox or a six-speed manual transmission. A 3.6-liter V6 engine with 305 horsepower and 269 lb.-ft. of torque is available as an option. This engine is paired exclusively with a six-speed automatic transmission with manual mode. Finally, the 2017 Chevrolet Colorado can be equipped with a 2.8-liter four-cylinder turbodiesel engine that offers 181 horsepower and a very plentiful torque of 369 lb.-ft.
Come and discover the all-new 2017 Chevrolet Colorado today at Vickar Chevrolet!